Well, I got engaged a while ago. Luckily, I have the coolest fiancée ever and she let me make a blog about our story/engagement/wedding. Also, in a quest to make getting married easier, I’ve vowed to use technology in any way possible. 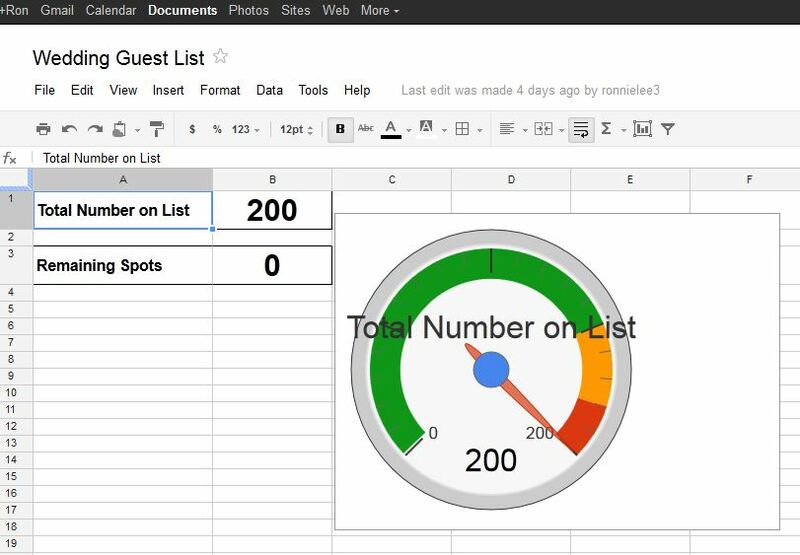 For me, that started with using Google Docs as a way to share and keep our guest list updated. The gadget I installed is a pre-made gadget, but is a pretty good reminder for when we get on the doc and want to add people. Don’t worry, though… you made the cut… probably. Beyond that, you definitely won’t “see” the ways we’re using tech to get hitched – that’s all part of the quest. However, there may or may not be a certain social media flare to our save the dates. However, check back for updates about how we’re using tech to make our wedding day easier (and hopefully more fun).